We made "candy books" with our wrappers after we counted and sorted them. 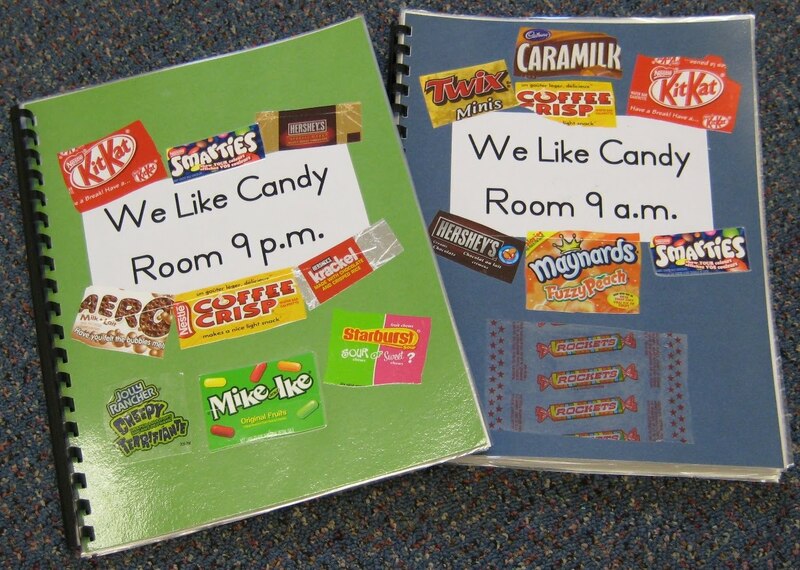 Each student picked their favourite candy and then had to draw what came inside the wrapper. The write Their name and what they like! (I scribed for many of the Juniors). We love our books -- they are the first books that are taken off the shelf each day. Definition: Environmental Print is the print of everyday life: The symbols, signs, numbers, and colors found in McDonald's, Wal-Mart, Exxon, Pizza Hut, 7-Up, and on websites, for instance. They offer excellent entry points for young children to begin to learn to read, write, and do math. Resources for environmental print are: Books, billboards, calendars, catalogs, comics, containers, coupons, flyers, greeting cards, grocery stores, journals, labels, magazines, menus, newspapers, office supply packaging, posters, recipes, road signs, snack bags, telephone books, and websites. The reasons to use environmental print: It is everywhere and, because it is, it is a natural starting point to teach young children to read, write, and do math. Children have a concrete connection to everyday print. 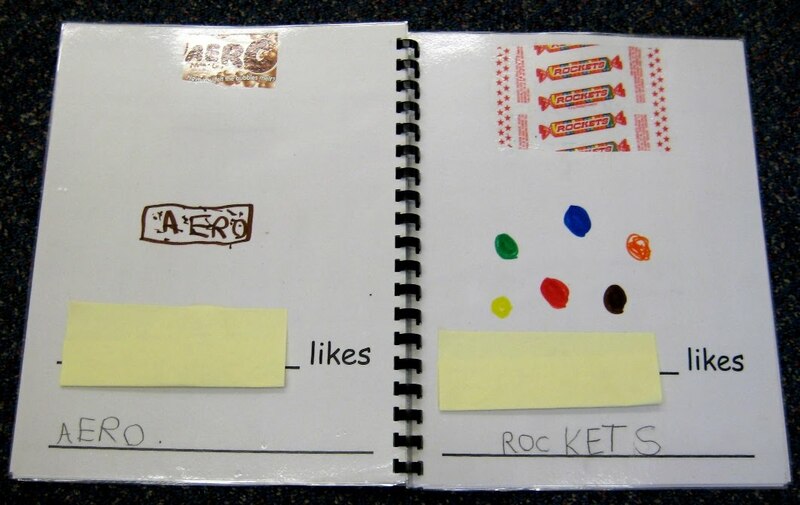 They "read" it within the context of their everyday experiences--their interests and backgrounds. It bridges the gap between the functional print of school and the print outside. It doesn't cost a lot of money to use.